Terra Casa S.A. is an investor and developer operating for 20 years in the real estate market. The company is a part of TC Forum Capital Group. Terra Casa develops modern multifunctional and residential sustainable developments. The company has its regional offices in Warsaw and Cracow. 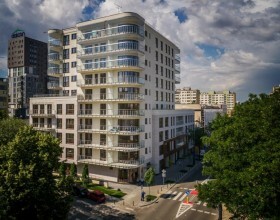 We choose projects in unique locations or in city centers. We often acquire land parcels with complicated legal and urban conditions. We prepare our projects for development and execution by adjusting them appropriately to their surroundings, market conditions and enriching them with long-lasting added values. In our work we treat each investment as our flagship project, which can be distinguished from other realizations by its architecture, functionality and high quality in every detail. The success of our projects results from their appropriate adjustment to the surrounding area with simultaneous preservation of their individual character and style. 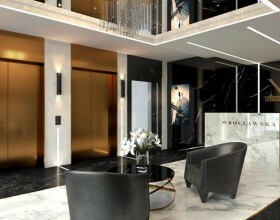 In a development process we put emphasis on attractive appearance of the building, quality of the finishing, as well as safety and functionality of interiors in order to provide an attractive place of life and work for our residents and tenants. Thus we create the additional value, which is highly appreciated by our clients. Terra Casa implements international management models and best practices in its structures. Owing to the cooperation with banks, funds and financing institutions with a global reach, we effectively acquire financing for our projects. In relations with our clients, we apply the highest standards of service. Terra Casa is a team of professionals with proven international experience who manage and execute projects. We are focused on achieving objectives through teamwork, highly effective habits of action and based on management groups comprising of qualified individuals with complementing competencies.Thus, where others see problems, we see effective solutions. 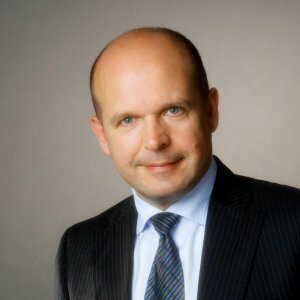 Artur Tlustochowski is the company’s Chief Executive Officer and investor operating in the real estate market for more than 20 years. 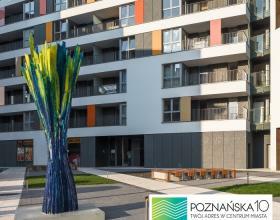 He concentrates on high standard sustainable developments in Warsaw and Cracow. His development and investment projects vary from creating added value mixed use and high quality residential projects to single family housing, mid-size shopping centers and hotel projects. Artur Tlustochowski gained his broad international experience and excellence in the real estate business by working for more than six years for Tishman Speyer, a leading global developer and owner of international landmark properties. He started his real estate career in Cushman & Wakefield in Chicago working on MetLife and Rockefeller Group portfolios and performed business process and performance reviews of commercial and residential investments for the San Francisco based RREEF Funds in the United States as the Quality Assurance Coordinator. Artur graduated with honors from National-Louis University in Chicago and was a Commencement Speaker representing College of Management and Business. He is a Certified Public Accountant, member of the Polish-American Chamber of Commerce, member of the Urban Land Institute and recipient of the RREEF Funds Special Award for Innovation in Business. Artur Tlustochowski sets up development strategy, organizes joint venture and equity partners, as well as manages financing of the projects. He oversees land assembly and acquisition, project development, execution and overall commercialization process. 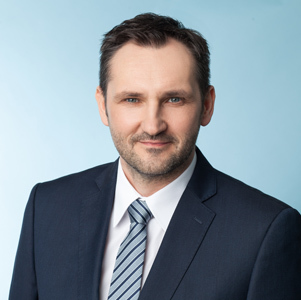 Grzegorz Sagan acts as a Vice-President of the company with a proven track record in the development process. He supervises sales team. Grzegorz gained his international experience by working for six years in a construction company in Chicago, where he was involved in construction and interior design. He coordinated sales teams in a leading international company Skanska S.A. and Cracow based Buma Group. He was a member of the management board of the several development companies. With the 24 years experience in real estate business, his knowledge and expertize enable him to improve projects by adding value. Grzegorz graduated from the University School of Physical Education in Cracow. Grzegorz Sagan directly supervises project development execution and commercialization process for the Cracow area projects. Privately – enthusiast and active motorcycle rider. 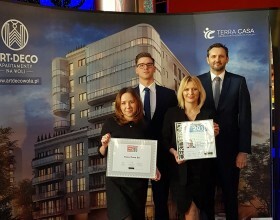 Monika Krupa as the head of the Sales Department of Terra Casa Warsaw branch supervises the development and sales process, participates in new projects acquisition and their launch to the market. 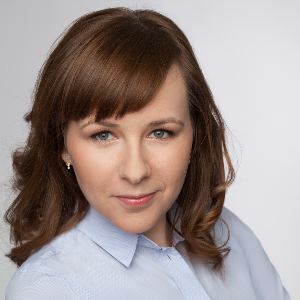 Monika has 10-year experience in real estate sector gained during her work on Terra Casa investment projects in Warsaw. Monika Krupa is a law graduate with completed postgraduate studies in the field of real estate management and sales. She is a Licensed Real Estate Agent and an active member of the Polish Real Estate Federation. Piotr Zimowski is the company’s Director of Development. He is managing the process of preparation and realization of the residential and commercial development projects. Piotr oversees new projects acquisition and estimates their investment potential, supervises construction process and architects, as well as general contractors executing Terra Casa projects. He is in charge of obtaining administrative decisions and building permits for projects, participates in negotiations of the construction contracts, supervises execution of agreements and cooperates with the banks financing our projects. Piotr graduated from the Gdansk University of Technology, Faculty of Civil Engineering and received a Master’s Degree of Engineering Science. 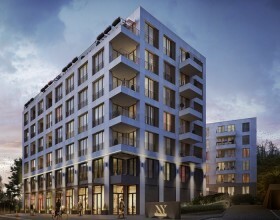 He gained his work experience through execution of more than 50 mixed-use construction projects in Poland. He is a Certified Construction Supervisor. Privately, Piotr is a sailing enthusiast. Supervisory Board of Terra Casa S.A.